Will You Say No to Promposals with Me? Will You Say No to Promposals with Me? Will You Say No to Promposals with Me? They take the focus off the experience and turn a romantic gesture into a competition. It’s that time of year again. The time in which everyone under the age of twenty has an Instagram feed full of high school students asking each other to prom in increasingly elaborate ways. Recently, while procrastinating from studying, I came upon an article giving the figures of what teenagers (in most cases, their parents) are spending on prom, and more specifically, on promposals. For those that do not follow the lives of teenagers on social media and have not been exposed to this phenomenon, promposal is the term coined for when a teenager asks someone to prom, usually in some over-the-top way, and always followed by a commemorative Instagram with the couple posing together. Let’s really take a moment and think about this. Why are high school students, who are about to enter college and start burying themselves in student loans, spending money to ask someone to go spend more money with them? Between the attire, the flowers, hair and makeup, and everything else that makes prom a night to remember, it has always been a costly event. But with promposing taking off the past few years, families can expect to tack on an extra few hundred dollars to cover whatever way the person chooses to ask their date. When did asking a question become so costly? Visa published a survey on Yahoo!, finding the average for a promposal in the United States is $324. Maybe it’s the fact I’m a college student at the end of the semester, but I could list a hundred ways to spend $324 (most of them involving food), that I believe are more productive ways to spend money than on asking someone to a dance. I asked my date to prom by getting “Prom?” written on the cookie cake I had to buy anyways to bring to our end of the year band banquet. This killed two birds with one stone, and yes, we even took a cute Instagram picture (fully clad in our band tuxedos). So no, I don’t have some big cute promposal story, and I had a great prom. Honestly, sometimes I regret spending the extra $3 on getting two types of frosting. 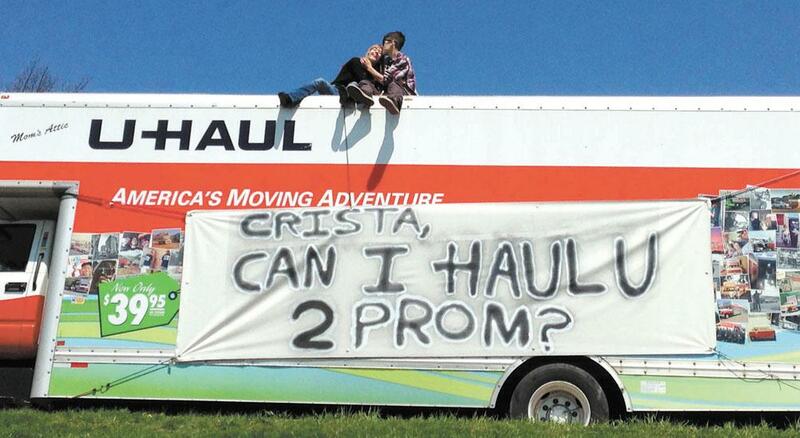 Don’t get me wrong, I totally encourage creativity, and there are some promposals that are cute. What I don’t understand is the exorbitant amount of money that is being spent. In high school, one of my guy friends got the barista at Starbucks to write “Prom?” on the cup of the girl he was asking. He actually didn’t spend any money, because the girl didn’t want anything but with (a lot of) encouragement, she finally ordered a cup of water. He spent no money, and two years into college the two of them are still together. No balloons, expensive sneakers, football field full of candles, but the selfie of the two of them with the Starbucks cup of water still warms my heart. Sure, it didn’t win “most creative promposal” (because of course it has to be a competition) but the two of them had a great time at prom, which is when he asked her to be his girlfriend. I’ve heard of girls saying they won’t go with a boy they claimed to have a crush on because he didn’t ask her in a “good enough” way. The promposals I’m talking about are when someone spends an outrageous amount of money to buy something just so they can write “Prom?” on it. Recently, a picture came up on my Instagram that a high school senior posted of an expensive pair of sneakers given to her as a way to ask her to prom, with the caption “Couldn’t have thought of a better way to be asked to prom!” Yes, buying someone shoes is a nice gesture, but spending money on a gift is just a buyout, there’s nothing creative about it. While scrolling through #promposal on Instagram, the captions get pretty interesting. “Even though I was at work, it was still cute!” was the caption to a picture of a boy holding a poster asking a girl to prom while she served frozen yogurt. Cute, until I read the caption. My real problem with promposals is that people feel the need to defend them to other people. It shouldn’t be anyone else’s business—if she was happy with how he asked her, she shouldn’t feel the need to defend it on an Instagram post. When promposals started I thought they were cute, like I said, I’m all about creativity. But now, it seems like people are more wrapped up in how they are asked to prom than in who is doing the asking. I’ve heard of girls saying they won’t go with a boy they claimed to have a crush on because he didn’t ask her in a “good enough” way. Let’s all remember that it is the person that will be with you at the dance, and not the elaborate way they asked you. In a world where everyone is so focused on social media, the moment a promposal is uploaded on Instagram you can bet screenshots are taken and the idea’s merit is debated. 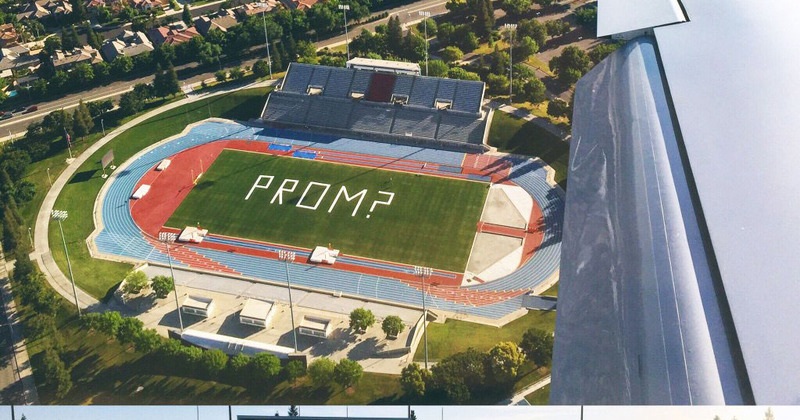 Now, not only do girls compete over the best date and the best dress, but also who was asked in the best way. This begs the real question of why. Why are we wasting time not only on how we are going to ask someone to prom, but also on judging how others are being asked to prom. So, I beg anyone who may be going to prom this year, stop worrying about how you are asking your date or how your date is asking you. Be excited about the person you are going with, regardless of how they popped the question. Take a cute Instagram because you are excited about going with them, not to show off how much money was spent to ask.